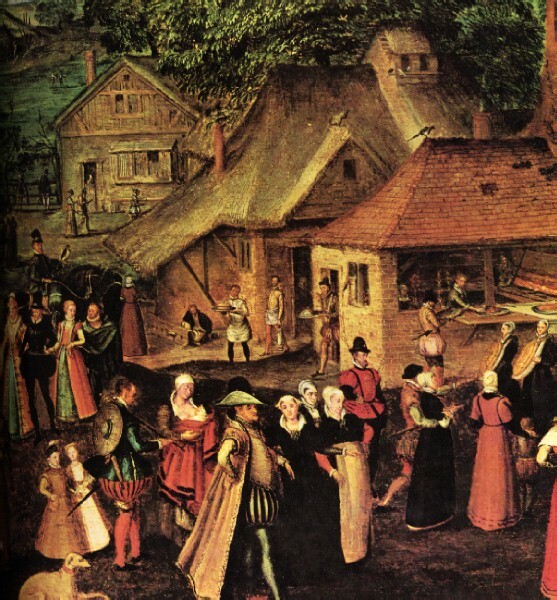 Daily life in Elizabethan era differed according social status and location, i.e. town or country. It usually consisted of fixed routines, like getting ready, cooking and eating meals, leisure etc. The day usually started at the crack of dawn, to make most of the day-light hours. The servants were the first to rise, followed by the mistress of the house. Hand-maidens, or servant girls, helped the mistress get ready, and then woke the rest of the household. It was only after, the men and children left the house for work or schools that women could attend to their daily chores. People generally ate two meals a day: dinner at noon and supper around 6:00 in the evening. At a feast, guests usually sat on benches, with chairs reserved for the only most honoured guests. Commoners used wooden bowls and spoons at their meals, and also ate with their bare fingers rather than spoons and forks. Salt was a rare commodity, and meat was in short supply in most households. The lower and middle classes generally ate grains and vegetables, while the nobility enjoyed eating meats and sweets. 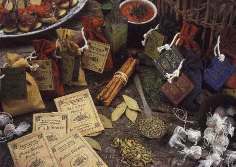 In general, Elizabethan cooking was generally sweeter than cooking today, although sugar was an expensive luxury. Meats were often cooked with fruits for flavouring. Desserts were commonly flavoured with dry fruits like dates and almonds. The evenings were filled with leisure activities to relax after a tiring day. Plays were enacted in town squares followed by the actors using the courtyards of taverns or inns. Miracle Plays, re-enactments of stories from the Bible, were derived from the ancient Briton custom of Mystery Plays, in which stories and fables were enacted to teach lessons or educate about life in general. Sports and games, included archery, bowling, cards, dice, hammer-throwing, quarter-staff contests, troco, quoits, skittles, wrestling and mob football. Hunting and Hawking were also important past-times, indulged by the nobility. Since, there was no electricity, people retired (went to sleep) by sun-down, i.e. 7.00-8.00 pm, to start afresh the next day.